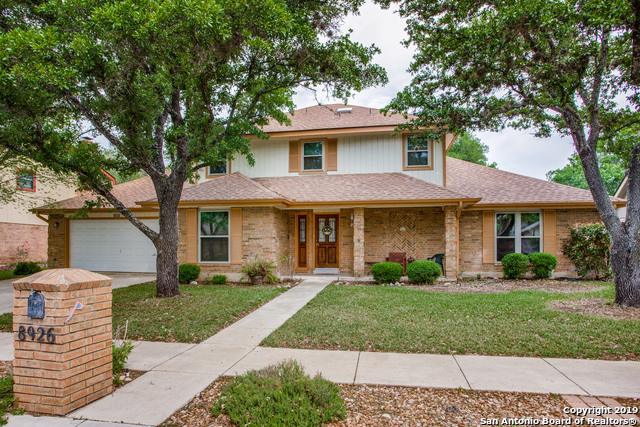 All FRENCH CREEK VILLAGE homes currently listed for sale in San Antonio as of 04/25/2019 are shown below. You can change the search criteria at any time by pressing the 'Change Search' button below. "Come and enjoy the open floor plan home with walk-in closets in every bedroom. The master suite features three walk-in closets/double sink vanity, & built in dresser/a step-down shower*home has two dining areas, a wood burning fireplace, oversize laundry room with cabinets and access to the backyard*Enjoy your private backyard oasis featuring a 46' X 14' foot patio a storage shed, green house, privacy fence/sprinkler system in the front and back. Home is being sold with the Refrigerator, Washe"
"Located right next to OP Schnabel Park & The Leon Creek Greenway this corner lot home located in the established French Creek Village is a must see!! Home features a very open floor plan with an atrium located at the entrance of the home. This 3 bedroom, 2 bath boast high ceilings in the living room and master suite. Also includes a Florida room which is perfect for entertainment. Come check this beauty out!!!"